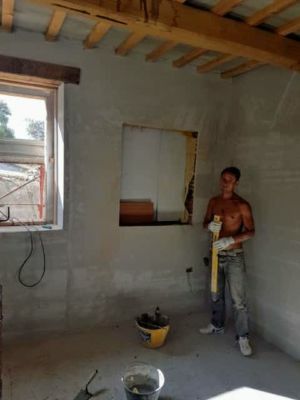 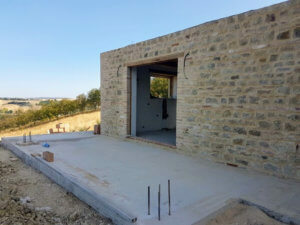 Recently, work has been progressing both inside and outside the house. 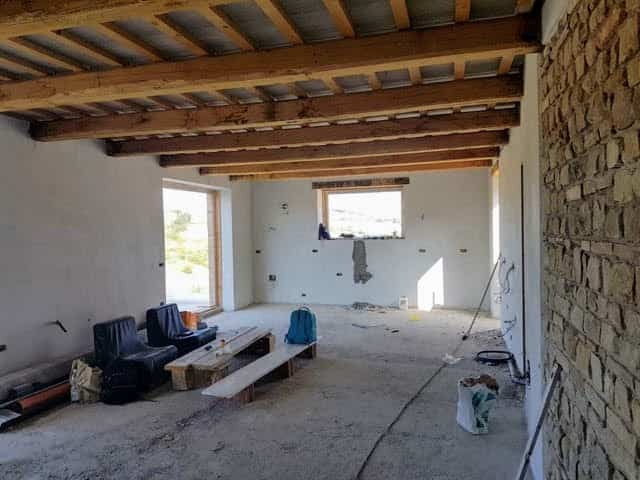 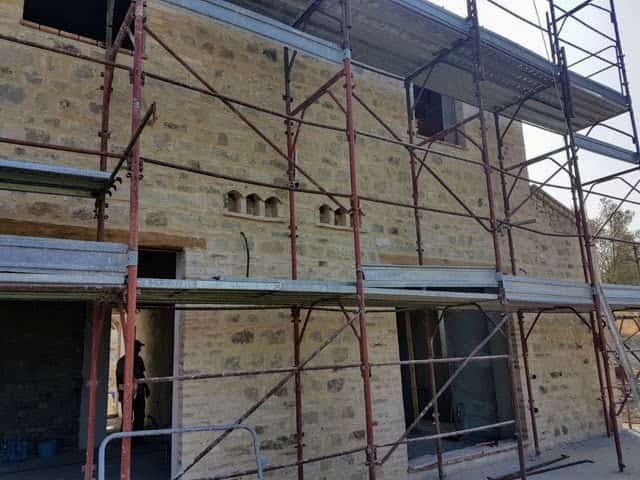 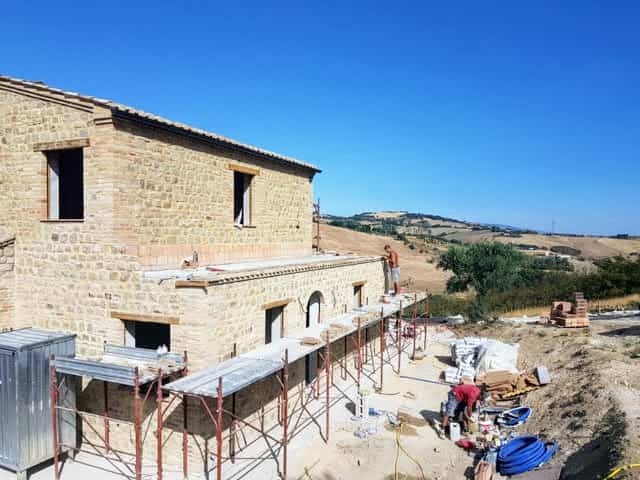 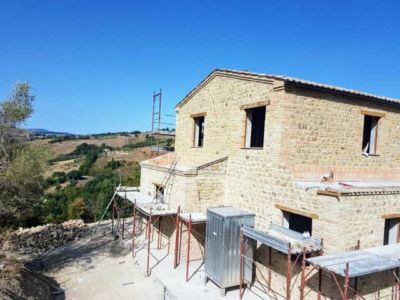 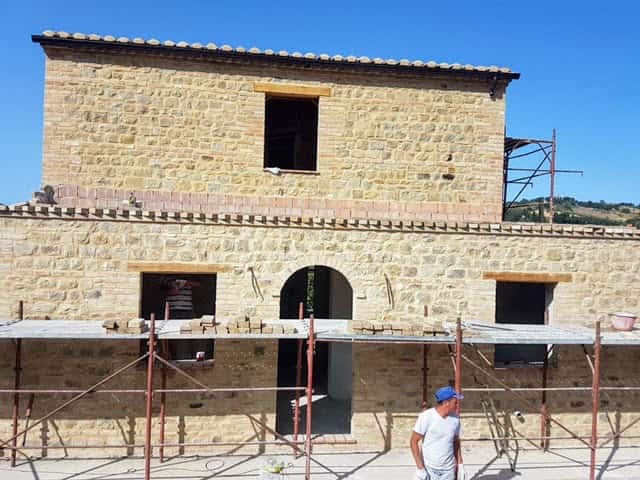 Most of the major outside work has been finished, but a few key things still need to be done, including building the smaller roof sections that cover the ground floor areas not under the top floor structure, the rear portico, and the upstairs terrazza. Today’s photos show progress on the roof segments and portico. The terrazza work has yet to commence. 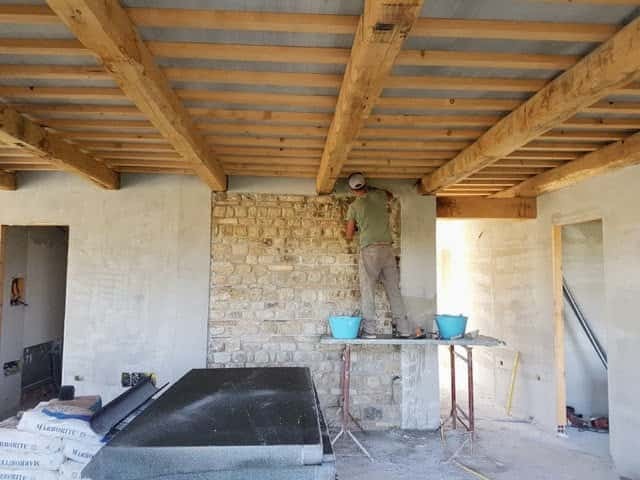 The interior stone wall in the main room has been completed up to the beams. What remains is the grout between the stones. 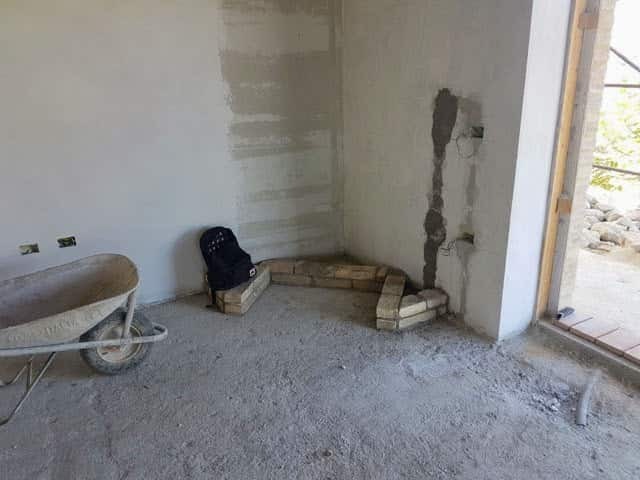 The nicchia is in place in the study and plaster work continues on the ground floor walls.